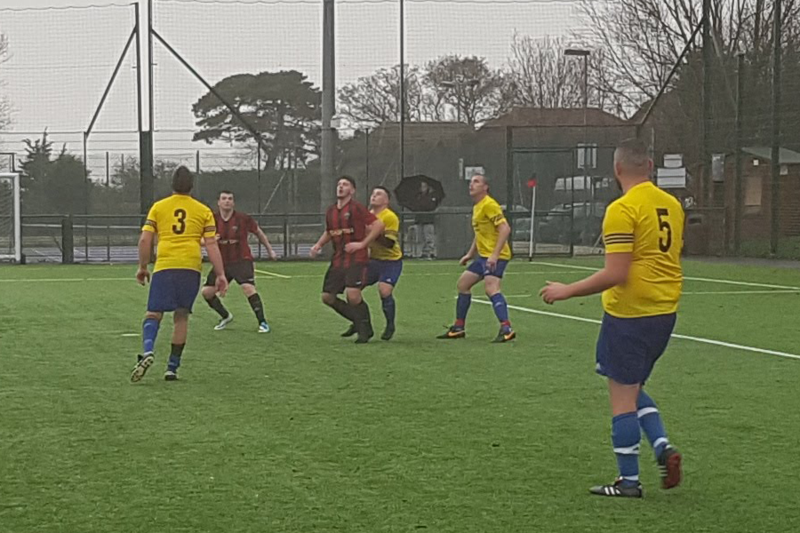 With the winter weather closing in rain began to fall at the Chopbacks’ home pitch at Bexhill College for this Saturday’s league return clash against Hawkhurst United seconds. 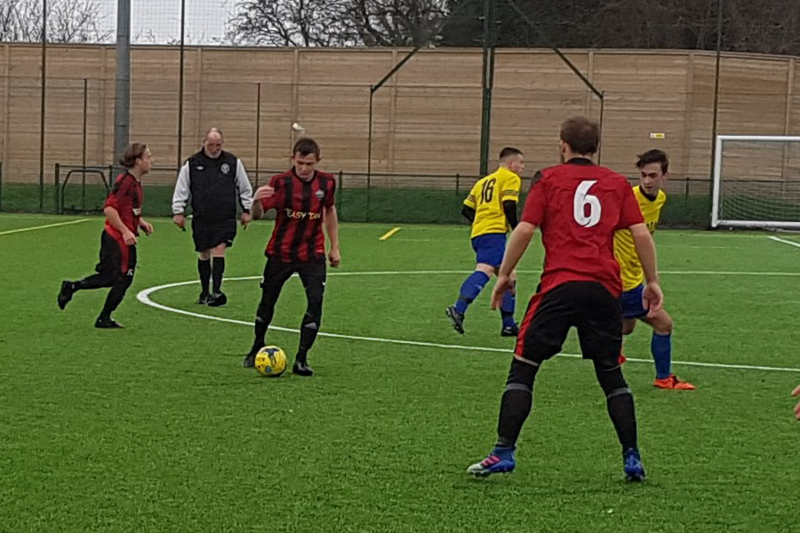 The first game at Hawkhurst ended honours even with a 3-3 scoreline, Chopbacks management team, Neil Sutcliffe and Sam Cook had made positive changes approaching the game which they felt would make a big difference. The mood in the camp was the best it’s been so far this season, so there were high hopes and strong confidence for a win from the team. The first half was again very even, both teams had chances, South Coast’s defence was looking very strong from the off and recorded several shots but not quite enough to trouble the keeper. 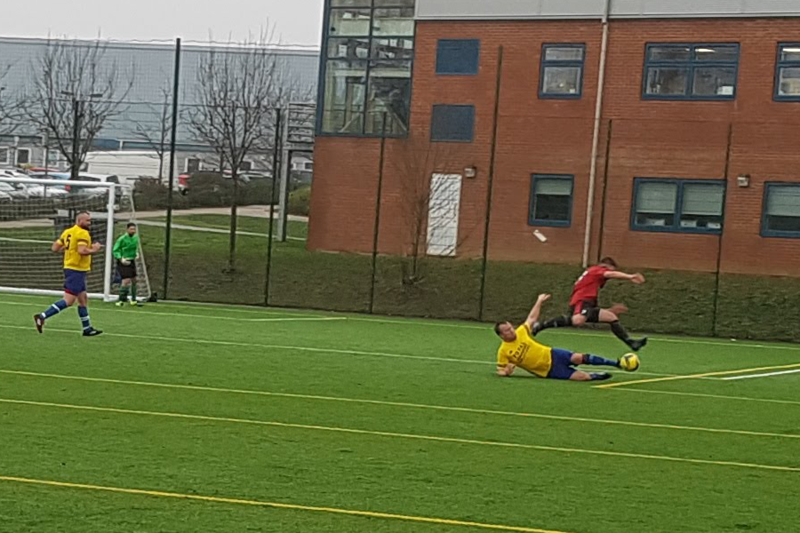 Hawkhurst had the better chances in the last ten minutes of the first half, hitting the upright with a thundering long range effort and a stunning top corner diving save from Ben ‘The Cat’ Tate kept the Chopbacks with a clean sheet in the dying moments. The half-time team talk was calm, measured and detailed offering technical snippets of advice to enable the lads to take charge of the game. But it turned in to a game of two halves, the second half was a completely different story. 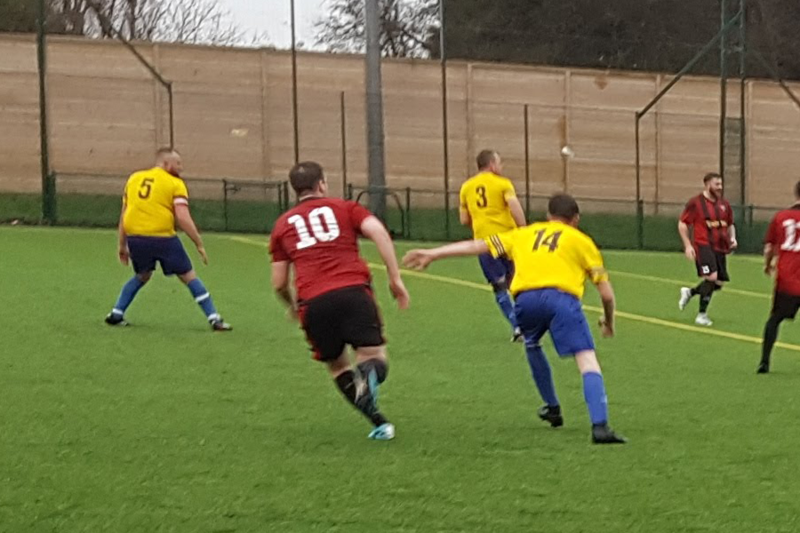 It took only 60 seconds for Jack Bloomfield to lay off Luke Darvill who tapped in a crisp pass across the box, giving the Chopbacks the lead. 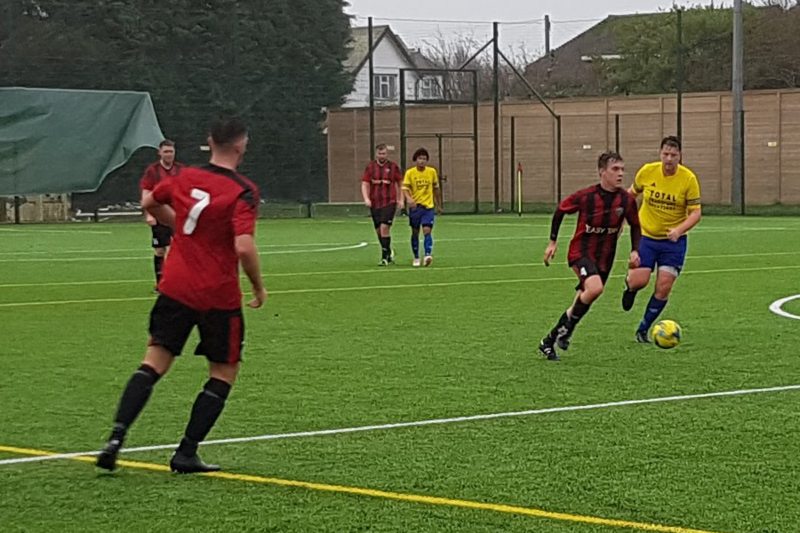 Ninety seconds later South Coast stamped their authority on the game as a ball fired through midfield was selflessly left by Bloomfield to find Connor Easton who struck the ball fiercely beating the Hawkhurst keeper to double South Coasts’ lead. 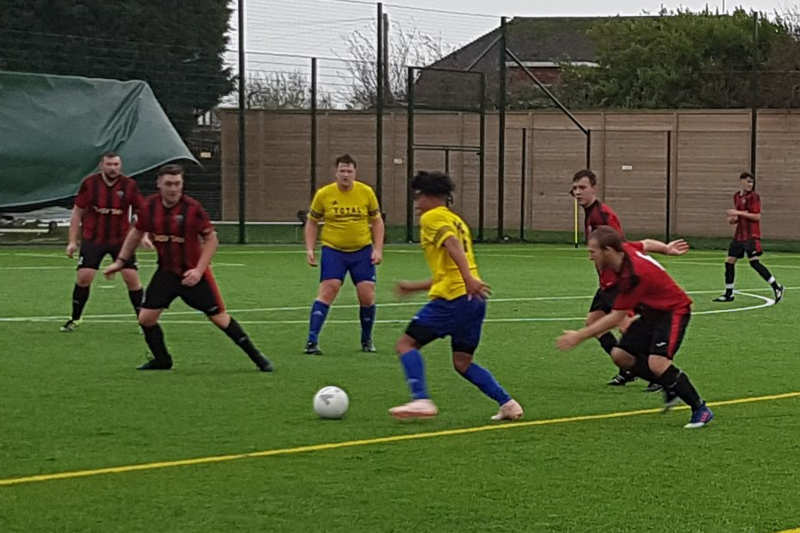 Hawkhurst failed to react and minute 53 saw a battling Easton on a charge clipped by his opponent entering the box, as he fell he had the foresight to flick out the ball across the 18 yard box to an on-rushing Bloomfield who clinically dispatched the ball for goal number three. 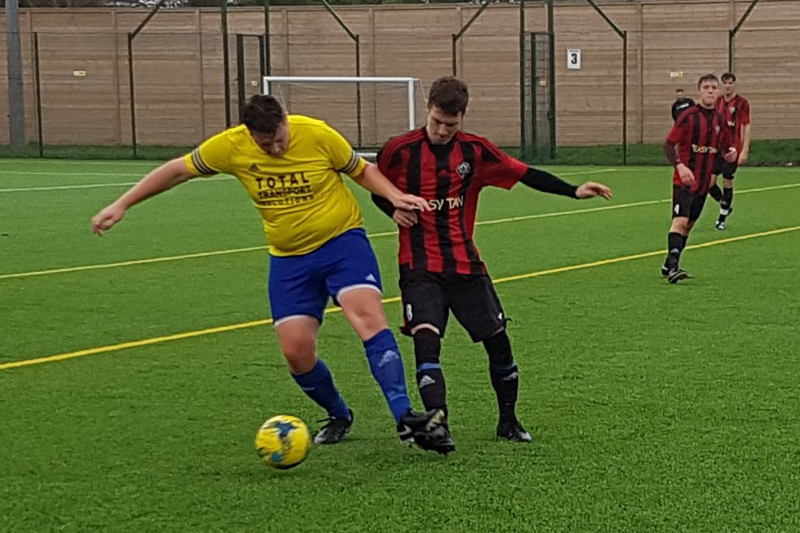 There was then half an hour of goalless action as Hawkhurst tried to regain a foothold in the game. They had a few chances but with ‘The Cat’ on his absolute best form, they were left wanting. Ten minutes from the end, fitness became a factor and it was the visitors who began to slow. 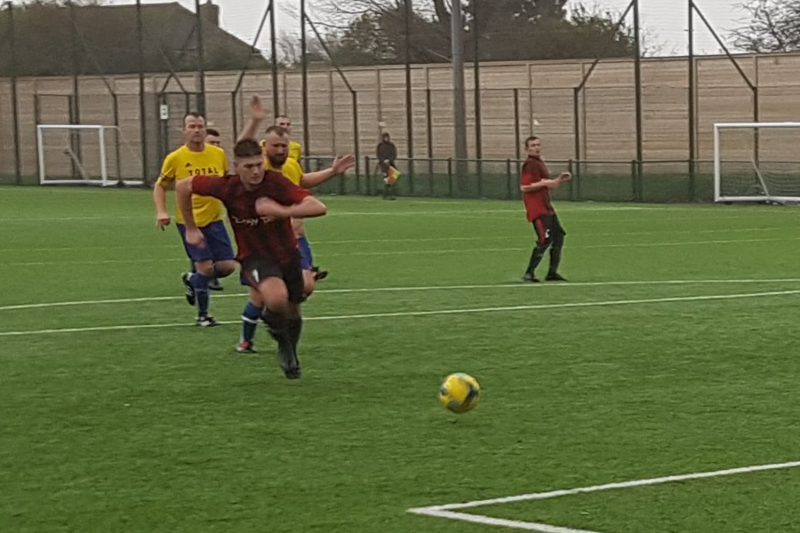 The Chopbacks continued their relentless pace, paying off in the 82nd minute when – battling tenaciously to deny Hawkhurst an advantage Ryan Penny got the better of his man in an outstanding display of determination and skill, digging out the ball and playing a forward diagonal ball to midfield. It was then passed through to on-form Darvill who broke through Hawkhurst’s defence to go one-on-one with their keeper. As cool as Christmas, Darvill made the keeper commit and slotted past taking the scoreline to 4-0. 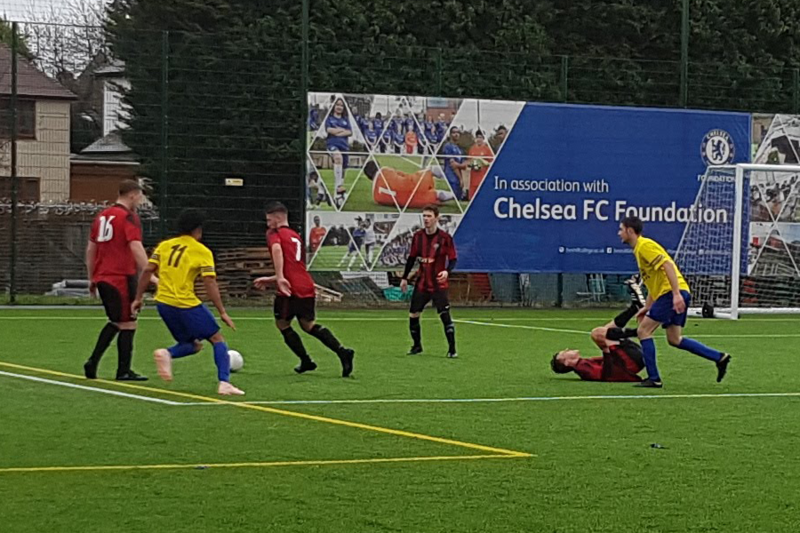 A minute later the game was finished off when Connor Easton struck a mid range effort curling the ball exquisitely around the keeper sealing the visitors fate. Seven minutes later the referee blew and the game was well and truly won by the marauding Chopbacks! The celebrations were a joy to behold as players and management all came together forgetting the cold and rain. Next week, Coast are back in action against Sandhurst in what should be another cracking game. Man of the match was jointly awarded to Georgie McDonagh and Ryan Penney for their excellent displays.